Welcome to the first installment of my annual column series counting down to Brewers Opening Day! Veteran readers know the drill, but for all of you who may not have found my work until the regular season started last year here’s the skinny. We count down to Opening Day for the Milwaukee Brewers — Monday, April 6th this year — by profiling a different Brewers player on certain days along the way. Who I profile on a specific day is determined by the jersey number that the player will be wearing while in big league camp at Spring Training. 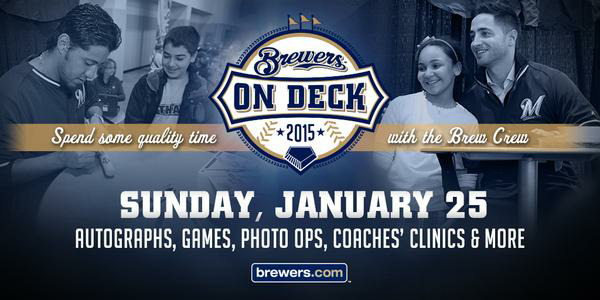 Today is January 18th and we sit 78 days away from Opening Day 2015. The player who has worn 78 on his back in each of his big league spring trainings will do so again in 2015. After being selected with the 12th overall pick in the 2011 First-Year Player Draft, the path for Taylor Heath Jungmann seemed to be pretty much laid out. A three-year college pitcher at the University of Texas, Jungmann was viewed as someone who was as much a finished product as anyone in that draft. The Brewers wanted someone who could reach the majors in a couple of years if everything broke right. The 6’6″ right-hander didn’t pitch in 2011 following a long junior season at Texas with a ton of innings on his arm. He also didn’t sign until late in the year, a product of the old rules governing amateur signing deadlines. Despite it all, he made an encouraging professional debut in 2012 at High-A Brevard County. (It was disappointing on a personal level that he never pitched as a Timber Rattler as I was looking forward to seeing him in person, though perhaps I’ll get my chance if he’s still at Triple-A in June.) By the time a somewhat disappointing 2013 season entirely with the Class-AA Huntsville Stars (10-10 record, 4.33 ERA) concluded, the talk had turned from “maybe not developing as quickly as was hoped” to “maybe he won’t ever get there”. I suppose I understand the scouting reports driving those sentiments, like the concern that Jungmann’s control still hadn’t come around (4.7 BB/9) and his strikeouts were way off the expected pace (5.3 K/9 for a 1.12 K/BB ratio), but I’ve never been one to simply give up on a young and talented guy so quickly. Then again, I’m nothing even close to a professional baseball scout either. Still, Jungmann was giving people some concern. He would start 2014 back with the Stars, in part because of how full the Class-AAA Nashville Sounds rotation was to begin the year. Jungmann shined in his 52.0 IP with Huntsville. He posted a 2.77 ERA, maintained his 0.7 HR/9 rate, slashed his walk rate to 2.6, and even upped his strikeouts recording 46 for a healthy 8.0 K/9. He earned a promotion to Nashville which was realized in mid-May. Jungmann pitched strongly in his first taste of Triple-A competition. His ERA predictably went up, and his walk rate jumped probably more than anyone would like, but he increased his strikeout rate and did a lot to be very encouraged about moving forward. For instance, Jungmann allowed at least 4 ER in six of his Triple-A appearances, but none came after July 13th. In fact, Jungmann finished the season with a run of five starts with a game score of at least 60, and six of seven with the other game checking in at 59. His final start saw his give up one earned run over 5.0 IP. He struck out nine in that game, but also walked six. If you take it as a microcosm (which is somewhat unfair given the walks in that game but anyway…), you can see some of the strides he’s made but also that he still has things to work on. Entering his age 25 season, Jungmann required 40-man roster protection from the Rule 5 Draft last month and in part as a result looks to be the number seven starting pitcher for the Brewers (if the roster construction on Opening Day matches how things are today). I absolutely predict we’ll see Jungmann toe the rubber in The Show in 2015. For the sake of team success, you hope that’s not until September when he gets to experience life as a September call-up, but chances are we’ll see the big Texas-native before that. The pieces foreseen by the late Bruce Seid and his staff when selecting Jungmann with Milwaukee’s top overall draft pick in 2011 are finally starting to fall into place. Hopefully those pieces are one day a part of a championship puzzle at Miller Park. But for now, for the six weeks of Spring Training, watch for number 78 to continue to build on the best season of his professional career. Several of the newest jersey numbers for Brewers 40-man rosterees were updated last night. If you’ve read me for any length of time, you probably know what a number nerd I am by now. After all, these numbers are an impetus behind my annual countdown to Opening Day. Without further ado, here are the number updates which also will be where you can find these players in said countdown. Logan Schafer, who gave up his #22 when Matt Garza was signed during last year’s Brewers On Deck fanfest, now had to give up his #1 after the team retired it for outgoing commissioner and former owner Bud Selig. Schafer gets #7 for 2015. Brooks Hall was listed without a number for a time but returns to the 63 he wore last spring as a new 40-man add. 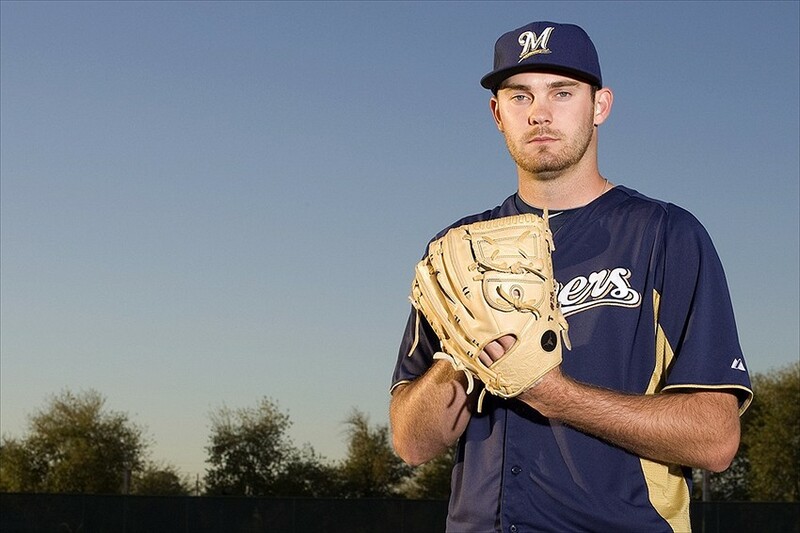 Similarly, Taylor Jungmann returns to the 78 he’s worn as a past non-roster invitee. David Goforth will wear #77 when pitchers and catchers report to Maryvale in his first spring on the 40-man. Number 76 now belongs to lefty Mike Strong as he contends for a specialist role in the big league bullpen. 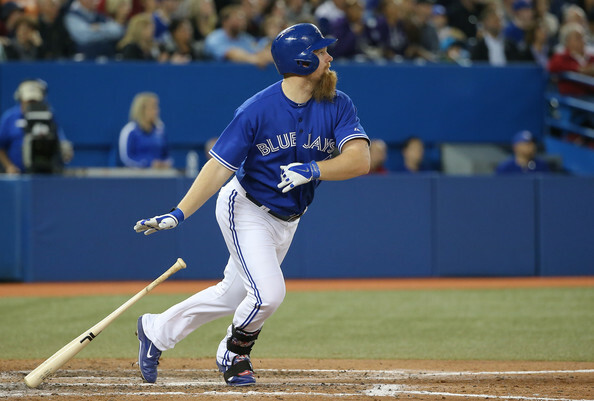 Big off-season acquisition and new starting first baseman Adam Lind will wear the 24 used by Lyle Overbay last season. Catcher Juan Centeno has been assigned #66. Finally for these updates, shortstop Yadiel Rivera will don #65 in his first big league camp.